Reiner Wehle was born in 1954 in Kiel, Germany. He studied the clarinet with Hans Deinzer in Hanover and Guy Deplus in Paris. In the course of his career he has won many international prizes, including competitions in Prague, Colmar, Martigny, Toulon, and the ARD Competition in Munich and in 1979 he took first prize at the Deutscher Musikwettbewerb in Bonn. Wehle has performed with many prestigious orchestras, including the Munich Philharmonic Orchestra and the Hanover Radio Symphony Orchestra. He also plays with the Lucerne Festival Orchestra. In addition to his career as a soloist, he has a passion for chamber music and performs around the world with the Trio di Clarone, the Ensemble Sabine Meyer, the Ensemble Kontraste, and the Trio Intégral. Since 1992, he has taught at the Lübeck Academy of Music with his wife Sabine Meyer. He has given many master classes in Germany, Italy, Switzerland, China, Bulgaria and Israel. 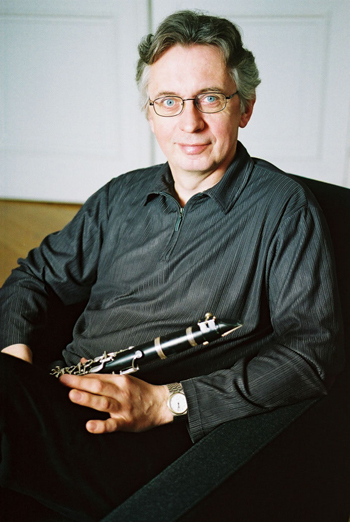 Reiner Wehle plays with the Steuer S800 reed.